What do you like the most about your avatar? Many people make their avatars very different from what they are in real life. 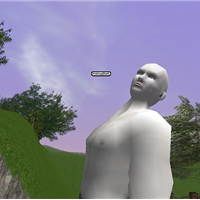 But some others, instead, create a virtual representation of themselves that reflects what they are in real world. I try to make my avatar as much like the real me as I can, down to matching the correct shade of blond hair. And I way prefer having reasonable sized breasts like real life. What I like most about my avatar is that it doesn't age. When I came to SL I was 26 and that's the age I've stayed! you'll need to join Avatar.